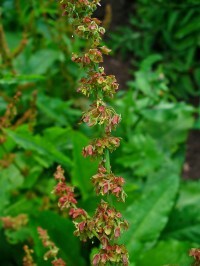 Dockens, dokkins, bulmint are all words for the dock plant from Shetland and Orkney. These dried dock weed stalks were used because they did not rot so readily as straw. Dock stalks are used dried hard after being cut in August/September and cleaned of leaves/seed heads. These need to be soaked preferably in salt water prior to use.